What goodies has Microsoft bestowed on us for the party? Windows 7 Party Pack - ours is here! Our Party Pack has arrived from Microsoft ahead of our big Windows 7 party - but what goodies will we get to make sure we fully explain an OS through the medium of a shindig? The party pack itself comes in a laptop-shaped box - we're glad we knew this was coming otherwise the result would have been a really big let down. The contents are just as we thought - the opportunity to have one of the most confusingly-themed parties in the world. Inside are two copies of Windows 7 (for both 32-bit and 64-bit computers), napkins, playing cards, a jigsaw puzzle, a weird fold out card thing and an explanation letter, along with ten Windows 7 Tote bags. Oh, and a folded poster - we all know how amazing they look when stuck up on the wall. People are going to flip out when they see that the second they walk through our Windows 7 Party Door. 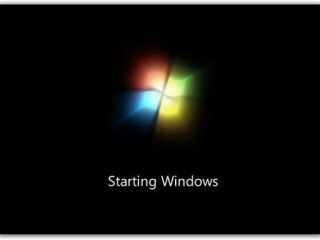 The two copies of Windows 7 initially filled us with joy - had Microsoft made a mistake, giving us too many copies? - but no - it's just two versions for 32-bit or 64-bit systems. Worse still - there's only one activation code between them, so our netbook is going to stay plodding along on boring old XP. We're not entirely sure how this party is supposed to go, but we're getting an idea: 1. Show off Windows 7. But what about after that? And as we all know - no party is a real party unless people get their own bag filled to the brim with goodies to take away with them. The contents of ours will be: a Windows 7 napkin, 17 playing cards, a portion of jigsaw puzzle and some Apple cake. And one lucky winner will get a special surprise - a Windows 7 poster! If you're wondering how much all of this cost - don't worry, as there was a commercial invoice attached. Apparently the whole thing didn't set Microsoft back any more than a shade over $7 - £4.50 - and the bags cost more than both the Windows 7 CDs. That's a weight off our mind. We'll be hosting our special Windows 7 party later this month - check back to see the hilarity (and education - fun can be smart too) that ensues.